Is there a method to removing all the plastic side paneling of an ST165 to make it look more like a ST162? Are the panels used between the 16x series the same? 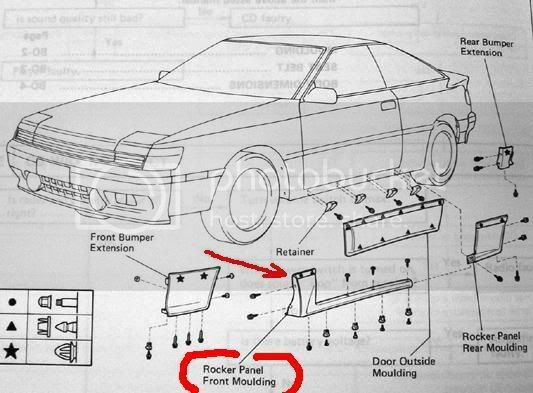 The JDM ones don't have all the side cladding, just the front and rear bumpers.They're known as 'narrow-bodies'. Most of the cladding is held on by screws and clips that break when you try to remove them, lol. I've thought about removing mine as well b/c it hides rust. But yeah, the 165 panels are the same, except they are pre-drilled to accept the bodykit. Has anyone ever removed these stateside? I can fill up the holes when I paint up the car. I cant stand plastic side molding and want to remove as much as I can. Thanks. I want to make mine look more like an ST162. My friend picked one up, same red as mine. I really prefer the less bloated look of his. My car was from the Southwest, so I dont expect it to have any rust like that, but who knows. That crap collects water.